The VAEEC has several volunteer committees that dedicate additional time to our work and mission. 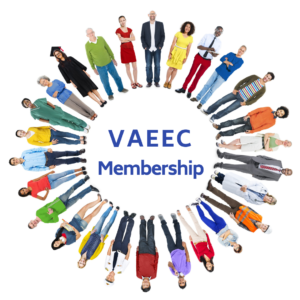 VAEEC members who would like to join a committee should email info@vaeec.org. Click here for a message from past VAEEC Board Chair, David Steiner, about the value of joining a committee. Education & Events: This committee oversees our programmatic work to increase the general EE awareness statewide. Assisting in the planning of our biannual member meetings and annual awards ceremony is one of this group’s biggest focuses. Membership: This committee focuses on expanding membership and providing appropriate benefits to members. The group is responsible for recruiting new members, identifying benefits across all membership levels, and crafting our annual membership survey. Policy & Programs: This committee makes recommendations to the full board on policy matters, such as legislation VAEEC will endorse during the General Assembly session and public comments, responses, and sign-on letters VAEEC will produce or partner with other entities on, or any other pertinent policy work. 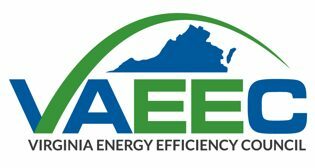 Awards Selection (Summer/Fall 2019): This temporary committee will assist staff and the Board with the annual Virginia Energy Efficiency Leadership Awards hosted in the fall.